I am catching up today on a lot of blog post ideas I have been too busy to do over the last several months. Here is another Narnia quote from The Lion, The Witch, and the Wardrobe, which I have been reminded of recently in relation to a study I am doing on Christ’s resurrection. 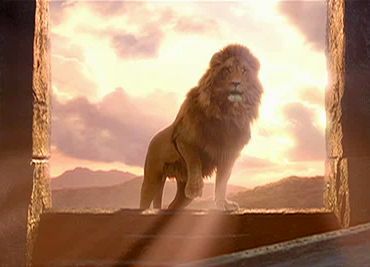 I love the way Aslan explains the meaning of the resurrection in terms of “Deeper Magic from Before the Dawn of Time.” Which I interpret as saying: Love is Deeper than, and prior to, Law.